Ready to Discover One of the Leading Mold Remediation Companies Around the California Bay Area? The Restoration CleanUp Company is a renowned leader in environmental remediation. The longer you leave sources of mold untreated, the worse they can become. Aside from the potential negative effects on health and breathing, mold is unsightly, unsanitary, and even dangerous in some cases. Working with your Industrial Hygienist, our team does an evaluation of the affected area(s) to determine an appropriate course of action based on protocol and IICRC guidelines. Whether it is confined to a small area within a single room, or distributed throughout an entire structure, The Restoration CleanUp Company develops project specific engineering controls to safeguard building inhabitants, and return the affected environment to a healthy condition as quickly and safely as possible. Our team of certified technicians can assess and mitigate even complicated remediation projects thanks to the most advanced training and inspection instruments available to the industry. The Restoration CleanUp Company works with clients to bring property back to pre-loss condition quickly while minimizing liability for all involved parties. Mold is a common household problem and it can come in a variety of forms and toxicity levels. 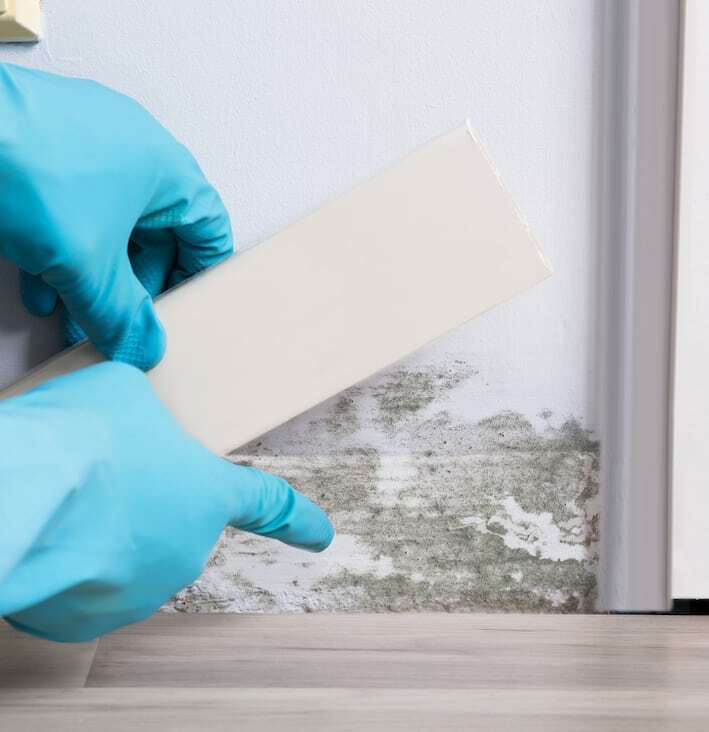 The most benign forms are usually found in dust particles in the home or workplace but other types of mold form as a result of excessive water or moisture, especially in warm environments. If you are in need of mold remediation services and are in the California Bay Area, call our team of environmental specialists. The Restoration CleanUp Company is a mold remediation company offering disaster cleaning services including smoke, water, and mold damage to homeowners, businesses, and insurance agencies across the California Bay Area.